Those who live in NYC can confirm that moving to the Big Apple brings certain lifestyle adjustments. 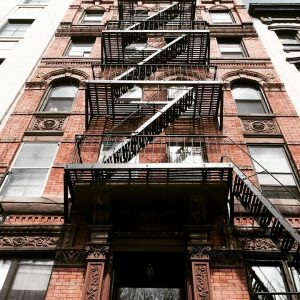 Whether you’ve grown up in a large suburban house or apartment, first of all, you will have to adjust your expectations when moving to the city that never sleeps. NYC is famous for its expensive micro-apartments, so you’d better get creative when downsizing. Furniture and couch disposal NYC seems to be a very popular activity considering the fact that the City is often referred to as a city of renters who move frequently. So, whether you are moving to a new home, embracing minimalism or just want to make room for some new stuff, start by assessing your personal needs and requirements. Moving provides a unique opportunity for a clean slate, so make special arrangements for your excess furniture. As soon as you change your perspective you will realize that moving fewer items can be beneficial for you and your family. 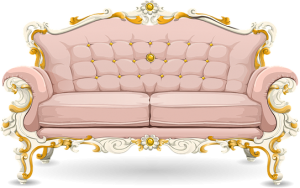 If you were wondering what to do with that outdated furniture, read on to find out more about the couch disposal NYC services. If moving to a smaller apartment, you will have to pare down your belongings significantly. Finding a furniture hauling company committed to eco-friendly practices will spare you some headaches and help you focus on some important moving aspects. The truth is that a couple of physically prepared friends can help you with the heavy lifting and clearing out your space. An extra pair of hands can go a long way towards quickly dismantling and hauling old and bulky furniture pieces away. In spite of all the challenges of the physically demanding task, you can still have some fun with your friends. Together you can turn an exhausting undertaking into a casual get-together. Consider it as a warm-up for the upcoming housewarming party. Since furniture disposal NYC can be a rather pricey affair depending on the number of items, it’s always a good idea to have a back-up plan. Give your furniture a new life by donating it to the charities. Provided that the furniture pieces are still in good condition, contact local charity organizations and offer your donation. 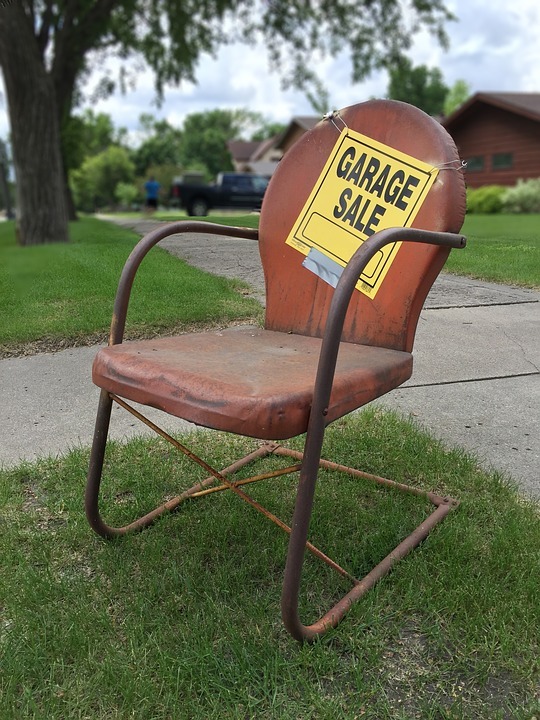 Organize a profitable garage sale. If you start preparing well in advance, you will be able to host a garage sale. Why wouldn’t you gather around a couple of friends and neighbors, have fun and earn some money along the way? Sell furniture online. Make good photos of the furniture that’s still in good condition and post them on the internet. Contact the nearest recycling center to ask about how you can dispose of your furniture in an eco-friendly manner. Take care of your environment when moving and disposing of old furniture in NYC. Give away and re-purpose items that are in excellent shape. Furniture and couch disposal NYC can be an overwhelming task, especially if you want to do it properly. The good news is that there are a lot of companies in the Big Apple that specialize in hauling and disposing of furniture pieces. Given the number of moving-related tasks to deal with, you could certainly benefit from using professional furniture removal services. In addition to that, some residential movers NYC are also willing to take care of the waste and moving leftovers. So, schedule your appointment with the moving professionals of your choosing so as to get accurate moving cost estimates NYC. Furniture disposal NYC service providers can either pay you a visit so as to issue an on-site quote or offer curbside pickup. You need to schedule an appointment to have large and bulky items taken away. 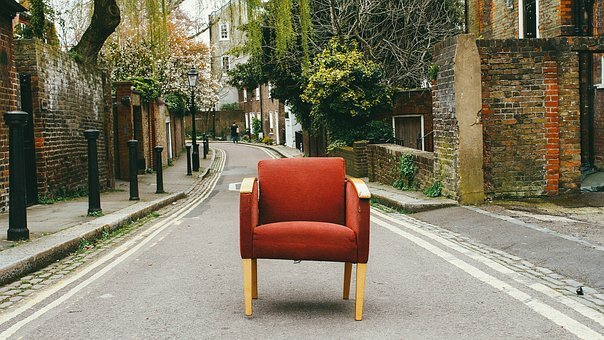 Just make sure that your furniture pieces are not placed on the street or in front of other people’s properties. However, there are certain limitations when it comes to free curbside removal services. Bulk recyclable objects are picked up on recycling collection days, while other bulk things are picked up on normal days. The complexity of the moving and packing process should make you reconsider which items you can and can’t do without. There’s nothing wrong with accumulating sentimental clutter, but in the event of moving, it can become a burden. However, if you want to keep your favorite unnecessary objects at all costs, renting an NYC storage unit could be a viable option for you. If you don’t mind paying a monthly fee for the storage unit where you will store excess furniture along with other items that you might need in the future, go ahead and research local storage companies. Depending on the season and amount of items, you may be able to obtain some special deals and discounts. Self-storage rates may vary depending on several factors, but the most important ones are the size and the location of the unit. The larger the unit, the higher your monthly fee will be. Also, it goes without saying that additional features and the occupancy rate of the facility may largely affect the final cost. Having weighed your options and alternatives to furniture disposal NYC, now you can decide which one suits best your needs and budget.